Healthy land, happy families and profitable businesses. Your land. Your family. Your business. Our internationally acclaimed Ranching For Profit School empowers people like you to transform their ranches into successful businesses. Our graduate support programs, RFP Next Steps and Executive Link, provide structure, support, and accountability to help people accomplish more, faster than they can on their own. Whether you have a high school diploma or an MBA, a ranch that’s struggling or a network of ranches firing on all cylinders, our programs will give you the tools and insights you need to improve your business. We deliver them in style! Our instructors don’t just present information, they teach it! Our small group approach with team and class discussions, case studies, videos, constant interaction and direct application to the participants’ own situation makes for a fun, effective learning environment. Things don’t magically change because you learn something new. You still have to roll up your sleeves and get to work … not just IN your business, but ON it too. RMC has programs and tools to support you every step of the way. Ranching For Profit School instructors have a well-deserved reputation for excellence. 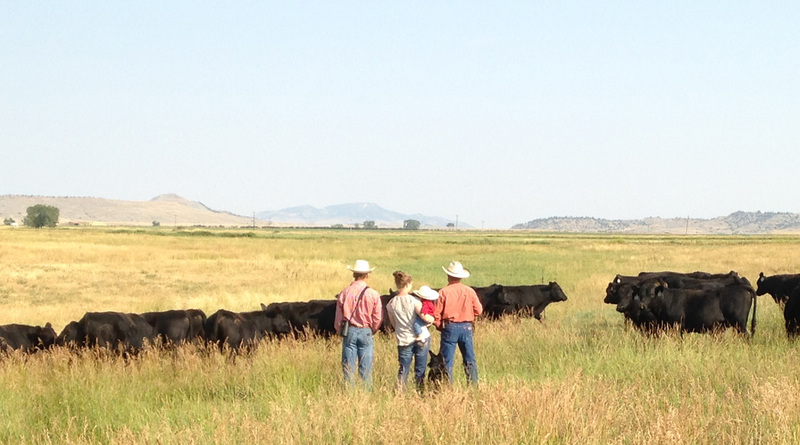 Each RFP teacher has a rich practical background in ranching. They spend two years learning the RFP curriculum and the RFP teaching processes before they teach their first class. They use a number of highly effective classroom techniques, real-life case studies, and a healthy dose of humor. Dave Pratt is one of the most sought-after speakers on sustainable agriculture and profitable ranching in the world today. He has taught the Ranching for Profit School in the United States, Canada, Mexico, Australia and Africa. Dave grew up on a small ranch and worked for cattle and sheep ranchers in Northern California where he learned ranching from the bottom up. In addition to his practical roots, Dave holds BS and MS degrees from the University of California and Washington State University. A Range and Livestock Advisor with the University of California Cooperative Extension Service for 15 years, Dave researched cell grazing and strategic issues impacting the sustainability of ranches. In 1991 Dave began working with Stan Parsons, the founder of Ranch Management Consultants. He started teaching the Ranching for Profit School in 1992. When Stan retired in 2001, Dave and his wife Kathy, bought RMC. They continue to run it from their offices in Fairfield, CA. Allan Crockett graduated from the University of Arizona in 1985 with a degree in Animal Science and Business. Since that time, he has managed cattle ranches, owned his own cattle and horse businesses and worked as a ranch consultant and facilitator in Canada, Mexico and the United States. Allan began teaching the Ranching For Profit School in 2007. He has a gift for asking the right question in the right way at the right time to lead students to big “Ah Ha” moments. Dallas Mount has hands-on experience working in cow-calf, yearling, feedlot and hay enterprises. He received his BS and MS from Colorado State University in Animal Science. Working with the University of Wyoming Extension service since 2001, Dallas has sat at hundreds of kitchen tables helping ranchers find ways to increase profit and improve the financial health of their businesses. Dallas started teaching the Ranching For Profit School in 2012 and quickly established himself as an elite instructor. He still manages to get his boots dirty as he operates his own cell-grazing operation with his wife and kids near Wheatland, WY. Experienced facilitators guide new Executive Link members through their first board meetings. The tools and processes they use ensure productive meetings and powerful results. All boards have access to facilitation when they need it. Many EL members use the facilitation tools they learn in Executive Link to successfully navigate difficult family conversations, and to facilitate meetings in community and industry organizations. Jennifer Brosius comes from the Sandhills of Nebraska where she and her husband, Robert, lease a ranch. Jennifer grew up on a farm/ranch near the Platte Valley, NE. She graduated from Chadron State College in Nebraska with a Major in Agribusiness. Jennifer started in the banking business as a Teller then worked her way into Credit Analysis and Agricultural/Commercial Lending. In 2014 the Jennifer and Robert moved their business to a large ranch western Nebraska. She is a full-time employee of their ranch, working in and on their business. Robert and Jennifer attended Ranching For Profit school in 2006 and immediately started implementing the principles they learned there. With the RFP tools the Brosius Ranch cowherd grew and new opportunities arose. They currently lease a large ranch and manage cow/calf, bred heifer and custom grazing enterprises. They use cell grazing with over 100 paddocks/mob. Kyle Marshall, an EL member for 8 years, displayed a knack for identifying core issues and helping his boardmates identify and evaluate options. In addition to restructuring his own ranch to increase the carrying capacity and produce a healthy profit, Kyle helped many of his boardmates produce powerful results. Kyle lives with his wife Kristin and their children Trent, Chloe, and Cody on their ranch in the Sandhills of Nebraska where their main enterprise is custom grazing. They enjoy life on the ranch and chasing their kids around to all their activities, especially rodeo. Roger Ingram retired in 2017 after a long and distinguished career with University of California Cooperative Extension. 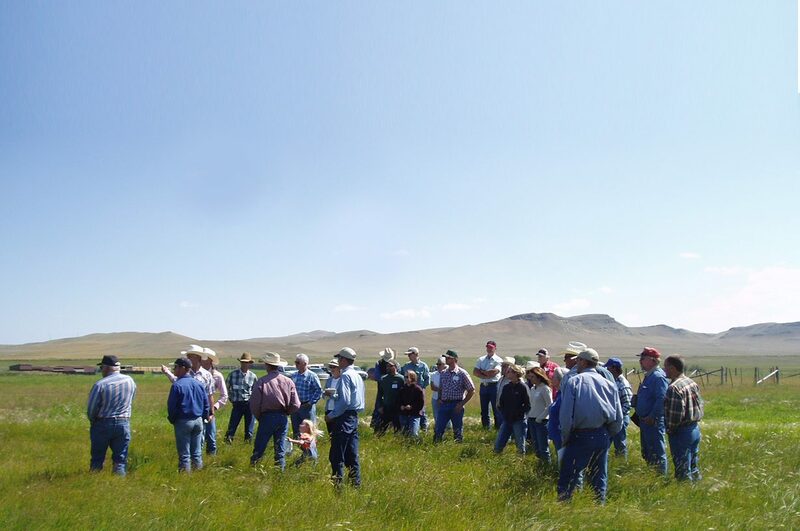 Roger taught hundreds of ranchers how to use cell grazing to improve their land and increase their profit. Roger earned BS and MS degrees from Texas A & M. He’s been helping Executive Link members identify core problems and create plans to overcome them since 2006. Allan Crockett is a Ranching For Profit School instructor. He is an innovative facilitator, and has help families work through difficult economic, financial ecological and family issues. Allan has facilitated Executive Link meetings for since 2007. Dallas Mount is a Ranching For Profit School instructor and has been facilitating Executive Link meetings since 2012. He is experienced using the Ranching For Profit processes to help families define and quantify owner value, and create and implement plans to achieve it. Dave Pratt is a Ranching For Profit School instructor. In addition to his wealth of experience, Dave has a tool box full of simple but effective facilitative processes. Those processes have earned Dave a reputation for helping people get to the heart of the problem and find win-win solutions. Teachers and facilitators are supported by a highly effective, dedicated team at the RMC office. Ranch Management Consultants was founded by Stan Parsons, who was raised on a large farming operation in Zimbabwe (formerly Rhodesia.) After earning his MS in Agricultural Economics and PhD in reproductive physiology, Stan realized he still didn’t know much about how to make money in agriculture. To remedy that, Stan read widely on business management while he was a professor of farm management and agricultural economics at the University of Rhodesia & Nyasaland. Repeated demands by local farmers associations led to his first course on the application of business management to agriculture in 1969. Stan Parsons teamed up with Allan Savory and together they worked on a ‘holistic’ approach to ranch management, combining grazing management and animal husbandry with business management. When they started operating in the US in 1979, demand for their services outpaced their resources. Stan and Allan parted company in 1983, when Stan established Ranch Management Consultants and began teaching Ranching for Profit Schools. Stan moved back to Zimbabwe in 1998. In 2001 he sold RMC to Dave and Kathy Pratt. Dave, who had a history of innovative research and teaching in his role as Livestock/Range Management Advisor in the University of California Cooperative Extension Service, had been teaching Ranching for Profit Schools for Stan since 1992. Today, Dave and Kathy run RMC from their office in Fairfield, California. They maintain the same high standards of teaching and continue to empower clients to achieve their goals. 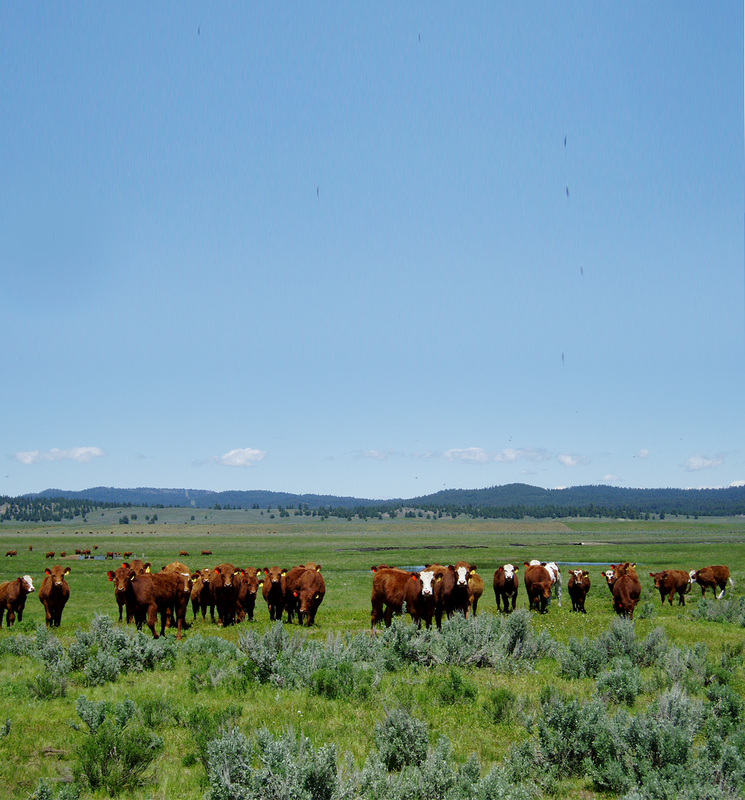 In the 17 years under Dave and Kathy Pratt, Ranch Management Consultants has held over 100 schools in the US and Canada. There has been a continuous evolution in both content and teaching processes used in both the Ranching For Profit school and their graduate support program, Executive Link.